Another option for sharing a roadmap view is publishing it to a URL. 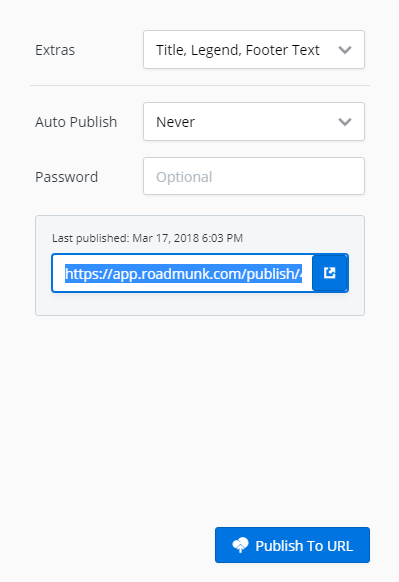 When you publish to a URL, you create a shareable link that points to an image of the view published on the Roadmunk host. Share the link with anyone or set up a password to provide access only to selected people. 1. In the View dropdown on the Roadmap navbar, select the view you want to publish. You should now see a preview of what the image will look like. 1. On the preview screen's top navbar, click the URL icon. 3. Click the Publish to URL button at the far right of the toolbar. 1. After clicking Publish to URL, copy the link from the URL field. 2. Open the link in your browser to test it and see the published view. 3. To password-protect the link, enter a Password. A password is optional. Once a view is published to a URL, you can share the link any time by copying it in the Export dropdown. Who can publish a view to a URL? 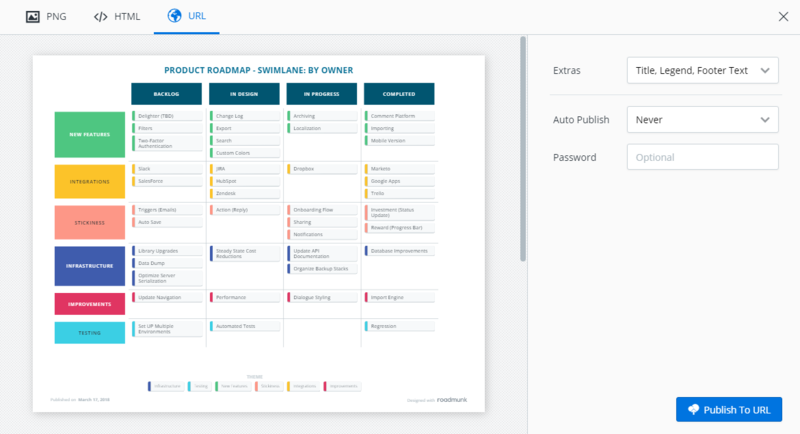 To publish a roadmap view to a URL, you must be the roadmap's Owner OR the roadmap must be shared with you as an Editor. You can't publish a view if you share the roadmap as a Viewer. 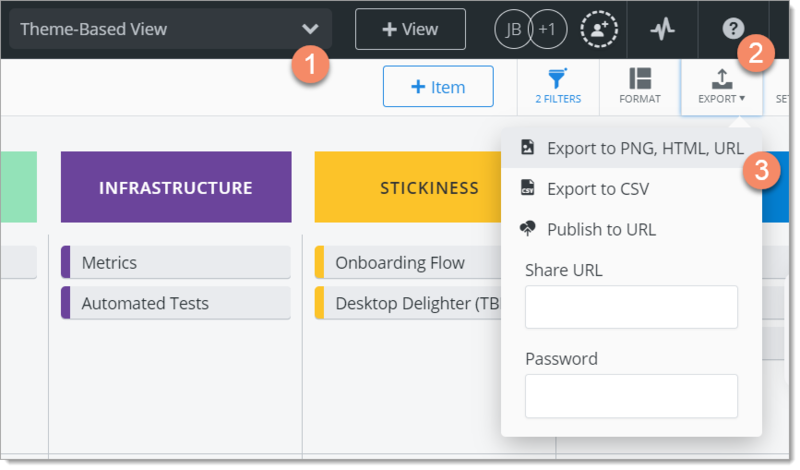 Although only Owners and Editors can publish a view, anyone with access to a roadmap can share the view's link by copying it in the Export dropdown.